More of our retailer customers are asking for drop ship or direct-to-consumer fulfillment capabilities from their suppliers. If a supplier is drop ship ready, or even nearly so, retailers are more willing to accept those products into their system. To do that, they want to know how long the supplier has been drop shipping, the volume they can process, number of transactions they can support and their peak capacity. What Small Package Carriers Do You Use? Generally, a retailer has a contract with UPS or Fedex, and the supplier will use the retailer’s account to book shipments. But if a supplier is using one and the retailer is using the other, the supplier will almost always have to switch because the retailer wants to run all billing through its preferred carrier. When a customer orders something from, say, Target.com, but it’s shipped from the supplier, the supplier will use a Target.com branded packing slip, label, and box so the customer isn’t aware the item didn’t from Target directly. This is called “blind dropshipping” For some retailers, this kind of branding is important, and they’ll provide all the necessary information to make sure their branding is used properly. Other retailers may have a marketplace section on their website for all their third party suppliers and their products. In these cases, the supplier name is apparent on the site so the supplier is free to use their own brand and packing materials. Is Inventory Information Regularly Updated? If an online retailer offers goods, they want to be sure the supplier has those items available. They’re interested in inventory feeds that are updated on a daily or even hourly basis. 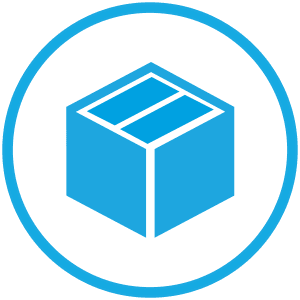 Many suppliers are required to post inventory information, so if items go out of stock or fall below the safety threshold, the retailer can deactivate the product pages, or show them as out of stock items. How Do You Handle Customer Returns? Who should customers contact to return or exchange an item, or get a refund? Typically, the supplier can or will handle it, but they’ll often leave it up to the retailer. The retailers typically want to do it themselves if they’re using white labeled materials, because they want to manage the entire brand experience. If the supplier is using their own materials, they’re often the ones to handle returns. In many cases, a return label is already included, and pre-addressed for the appropriate return location. This will all be worked out before the first package ever ships or the first customer ever calls, so it’s important to have the discussion. For a supplier, being drop ship ready can often mean a lot more work up front, but then higher sales and profits in the long run. The best way to get started is to look at a few drop ship questionnaires on Retail Universe to see what retailers are typically looking for. Then see if your own capabilities match. If not, start exploring what it would take to add this service to your other offerings and help your business grow.